Some youth from the All Progressive Congress (APC) of the Edo Central Senate District, under the auspices of the Esan Youth Movement, attacked Governor Godwin Obaseki's convoy. The youths bombarded the convoy with water sachets because of Governor Obaseki's insistence that he be in the area to meet party leaders, not youth. Governor Obaseki was in Irrua, headquarters of Esan Central, to meet the leaders of the Edo Central party as part of his consultations prior to the party primaries. Some party sources said Governor Obaseki wanted consensus candidates to emerge, while others insisted on direct primaries. Before the attack, the young people sang songs of abandonment, marginalization and imposition of candidates. 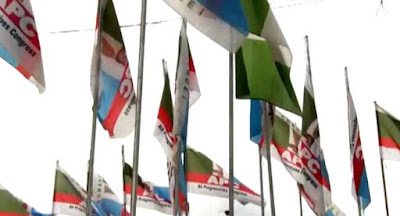 The anguish of the leaders of Edo Central APC was a plot to impose the current state financial commissioner, Mr. John Inegbedion, as the party's senatorial candidate in the region. They would have condemned the plot and insisted that no one would impose a candidate on them. A former Commissioner for Agriculture and Natural Resources, Barr Ken Ihensekhen, said he was surprised that the governor had abandoned all those who appointed him governor. "Tell me what are you going to say in Esan land that we will use to campaign?" Chief Francis Inegbeneki, who denied importing the youngsters to cheer Governor Obaseki, said the problem was Inegbedion's alleged approval as a Senate candidate by Obaseki. According to him, "those who shouted out of the meeting wore t-shirts on which the Esan youth movement figured. They were not brought by me even though I am a former national president of the movement. "They said no to taxation, they said they do not want a candidate to be taxed. "Before we went out, we heard people booing him, the meeting ended with success, and we had information that GSU invited the five council chairs where they were assigned to hand out John Inegbedion as a Senate candidate. "But the governor has denied this allegation and assured us that the Esan will decide who will represent them, and we are pleased with Governor Obaseki's good intentions." Another source said the problems began when the youths met with the governor and pleaded for an audience with him, but the governor refused to say that his plans were to meet the leaders.